GEELONG, Australia, CMC – In the wake of heavy losses in their only two fixtures on tour, West Indies will look to defy soaring temperatures and make the most of their two-day match against the Victoria XI, as they continue their build-up to the second Test match against Australia starting Boxing Day. 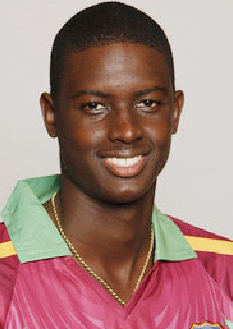 Skipper Jason Holder said the match, which bowls of today, would give all the batsmen a chance to get some time in the middle, while offering the bowlers an opportunity to get acclimatized to the relative heat of the mainland – significantly warmer than the conditions experienced in the first Test in chilly Tasmania. The weekend forecast in Geelong is for 40 degrees Celsius but Holder said his players were prepared for the dry heat at the Simonds Stadium. Officials at the stadium have brought in special cooling fans as well as scheduled extra drinks breaks. “It’s just a matter of adapting. We played in some cooler conditions (in Hobart) and now we face warmer conditions,” Holder told members of the media here. “Many of us have played in the subcontinent and we all know that it can be quite humid as well, so I don’t think it will be anything we haven’t experienced. West Indies have made a nightmare start to their tour Down Under and are under immense pressure to improve ahead of the Melbourne Test starting in just over a week’s time. Holder said the two-day match would also be key opportunity for his bowling staff to make the necessary changes ahead of the Boxing Day contest.